With Art Directors Sara Carr and Alex Haase and Experience Designer Brandi Thompson, we created the 2016 Annual Ham Manual: an interactive site regarding all the hottest movers and shakers of the Ham industry that year. Through the Manual, viewers could learn about the fierce contrast between artisanal family brand Olli and the faceless corporation that is GloboHam. 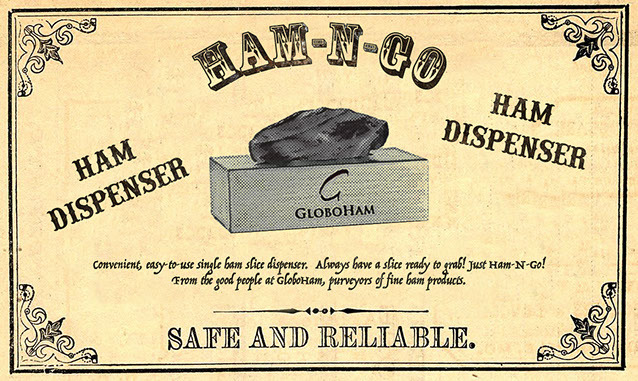 We created a bunch of fake GloboHam products, more of which you can see on the site. I wrote and edited two promo videos for the "founders" of the fake company. As an added technical challenge I wanted to take existing footage and drop in new faces on the people in the shots. The Manual can be viewed live at AnnualHamManual.com.